Several weeks ago Samsung announced that it would be launching a smaller version of its insanely popular Galaxy S III smartphone in Europe. 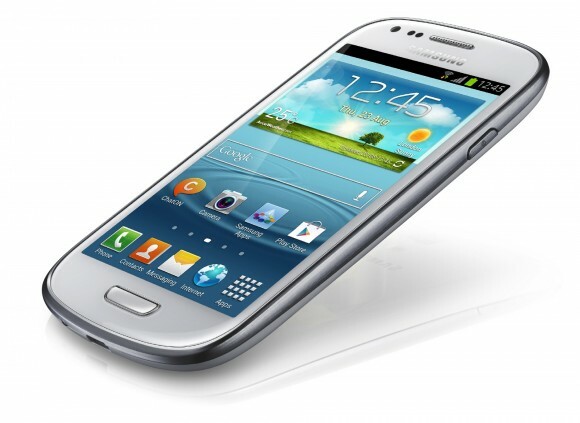 The phone will be called the Galaxy S III Mini. The specifications for the device were rather disappointing to a lot of people including a four-inch Super AMOLED display and a resolution of only 800 x 480. The smartphone will run Android 4.1, and will use a 1 GHz dual core processor. Other hardware features include support for tri-band HSPA and quad band GSM/EDGE. The smaller smartphone also has integrated Wi-Fi and Bluetooth along with NFC technology. The camera in the mini version of the phone is a five-megapixel unit. The front camera runs VGA resolution for video chatting. The smartphone will come with 8 GB or 16 GB of storage and has a microSD card slot for memory expansion. The compact phone measures 121.55 x 63 x 9.85 mm and weighs 111.5 g. We knew Vodafone UK and other carriers would be offering the device, and we knew it would be £249. What we didn’t know is exactly when you be able to purchase the smartphone. Samsung has announced the official launch date will be November 8. The phone will include free games, including The Sims 3 and Bejeweled 2. Vodafone won’t be the only carrier offering the device, Samsung says it will be available on all major networks in the UK.